Sleek styling, shiny surfacing, and a modern look. All of this can be yours with Zesta Kitchens’ exclusive lineup of white gloss kitchens. And a new entrant to this field has lately been shaking up the industry, in a big way. The Qualia Super Gloss kitchen is one of the newest members of our Melbourne line up. The unique surfacing here offers a number of key advantages: they are easier to clean, smooth, hard-wearing, and look fantastic. The shine reflects the light in your kitchen, ensuring your home has that bright, accessible look that everyone covets. This kitchen is one of the most exciting products on the market today: Senosan surfacing. This striking new material is the ultimate in gloss: its shine is unmatched anywhere in the kitchen world, offering a look of depth, while remaining strong and scratch-resistant. This kitchen can withstand even the toughest households. With that said, it is unique, in that the removal of its protective plastic covering is the final step in allowing the surface to cure, so be sure to go easy on it for the first week. Furthermore, be sure not to use harsh solvents or alcohol on it, or any form of abrasive scrub. Even tough stains will lift off this material with a damp cloth and some elbow grease. 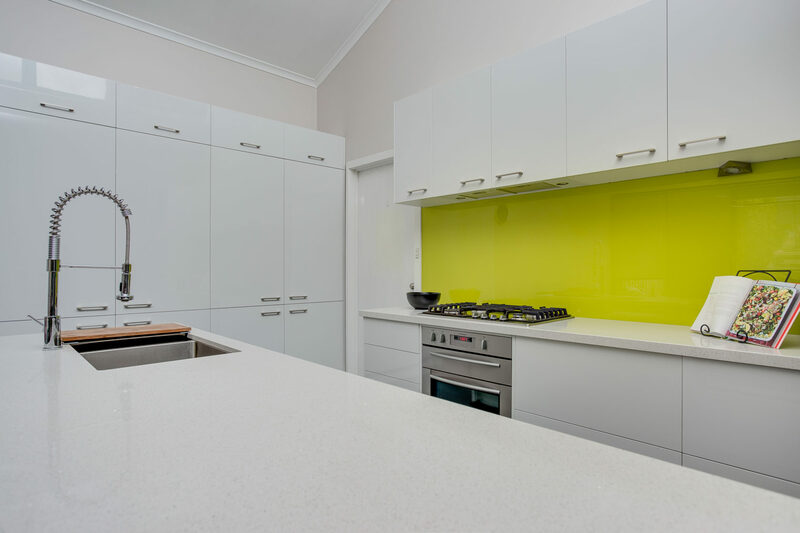 Your installation team will offer you a full run-down of the best methods of treating your new gloss kitchen in your Melbourne home. Available in six colours, this exciting new entrant to the kitchen world can be yours, as can the envy of your friends, family, and neighbours. Contact Zesta Kitchens today for a closer look at our vaunted line of gloss kitchens, including the striking Qualia Super Gloss. The best time to buy is now, with 15% off selected colours in the Qualia range, so what are you waiting for?